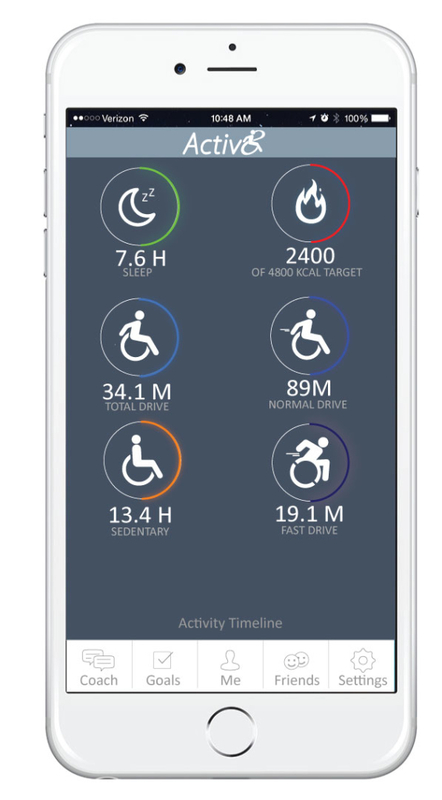 Ambulatory wheelchair activity monitoring solution - 2M Eng. 2M has created together with Rijndam rehabilitation center in Rotterdam a special version of the Activ8 activity monitoring (see www.activ8all.com) solution. This ambulatory wheelchair activity monitoring solution is currently being beta tested with patients and physiotherapists. 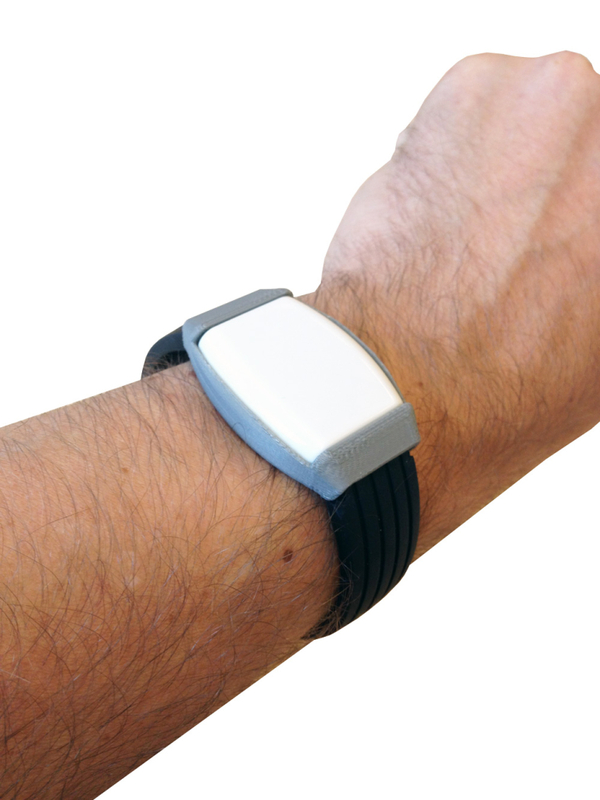 The solution consists of two activity monitors: one unit is mounted on the wheel of the wheelchair the other unit is worn on the wrist of the person in the wheelchair. By combining the information from wheel and wrist unit, various activity classes can be recognized. There can be recognized if people are pushed (by a person or by motor) if they are manouvring, sitting still, slow or fast driving. So both the user and the physiotherapist get a good view what activities have been done during the day. The underlying algorithms have been medically validated by Erasmus Medical Center and Hogeschool Utrecht. The user synchronizes the information wirelessly using Bluetooth Smart/Low Energy from both devices directly to the cloud via the WheelActiv8 smartphone app. The smartphone can also be used to get a detailed view on the various physical activities done during the day. Via the app the user can also communicate with the care provider and add mental notes to their activities so that when viewing back activities the context can easily be reconstructed. Currently the first prototypes have been send to Rijndam who are currently collecting feedback from users and physiotherapists on how and what to improve. When this prototype refinement is done, together with Rijndam steps will be taken to make a finished, certified and sellable product.